German Chancellor and leader of the German Christian Democrats (CDU) Angela Merkel, standing with leading members of her party, speaks to the media after preliminary coalition talks collapsed on Nov. 19, 2017, in Berlin, Germany. The German Christian Democrats (CDU), its sister party the Bavarian Christian Democrats (CSU), the Free Democratic Party (FDP) and the Greens Party (Buendnis 90/Die Gruenen) had been slogging through three weeks of difficult talks that ended today when the FDP announced it could not find sufficient common ground with the other parties. 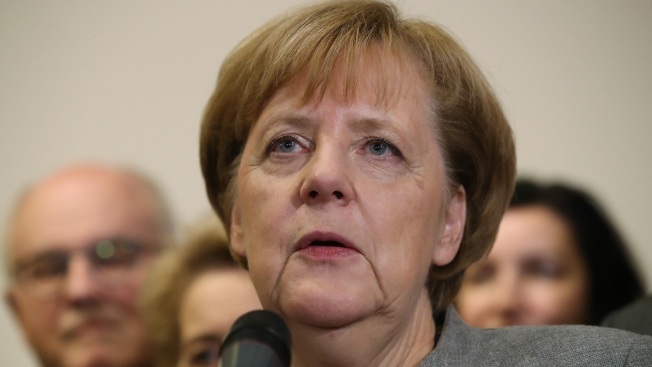 The situation now makes the next German government uncertain. Germany faced an uncertain political future on Monday after the collapse of weeks of talks on forming a new government, with Chancellor Angela Merkel set to consult the country's president and the possibility of new elections looming. Germany's Sept. 24 election produced an awkward result that left Merkel's two-party conservative bloc seeking a coalition with the pro-business Free Democrats and the traditionally left-leaning Greens. The combination of ideologically disparate parties hadn't been tried before in a national government, and came to nothing when the Free Democrats walked out of talks Sunday night. 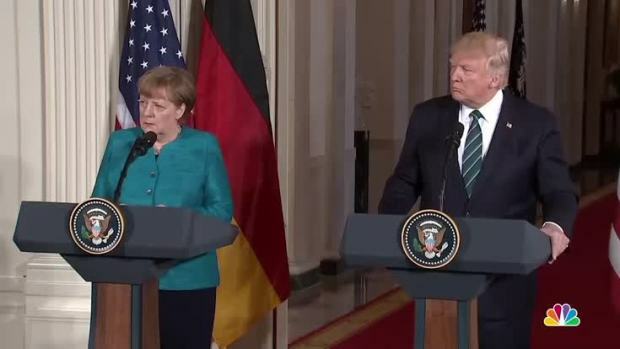 Peter Tauber, the general secretary of Merkel's Christian Democratic Union, told Deutschlandfunk radio that politicians shouldn't "throw it back to our citizens and say, 'vote again, we didn't agree.'" "I think it's an absolute strength of our democracy, our society, that we are capable of compromise — it's because of that that we have been such a stable and strong country in the past," Tauber said. "And we should think carefully about whether we want to give up this principle." Christian Lindner, the Free Democrats' leader, justified his decision to break off talks by saying that "we would have been forced to give up our principles and all that we had worked for for years." His party returned to parliament in September four years after voters, unimpressed with its performance as the junior partner in Merkel's 2009-2013 government, ejected it. "It is better not to govern than to govern wrong," Lindner said. Key sticking points during the talks were the issues of migration and climate change, on which the Greens and the other parties diverged, but also Free Democrat demands on tax policy. Merkel had planned to meet Monday with Dutch Prime Minister Mark Rutte, but that meeting was canceled at short notice.